NEW PRODUCTS – ABSOLUTE MULTITURN ENCODERS WITH ETHERCAT AND PROFINET-IO OUTPUT INTERFACE! 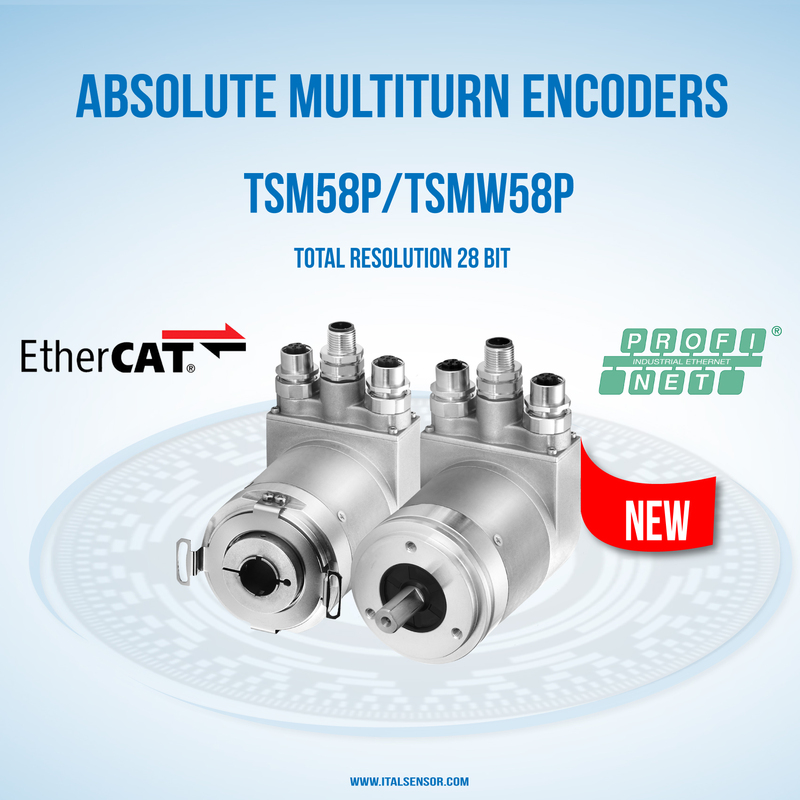 We are pleased to inform you that a new serie of the absolute multiturn encoders with EtherCAT and Profinet are online now. Optical absolute multiturn encoders serie TSM58P/TSMW58P with PROFINET IO and EtherCAT output interface are an ideal solution for use in harsh environmental conditions thanks to their robust design, high resolution up to 28 bit and high protection degree up to IP67. - easy setting of a preset value using a control bit.